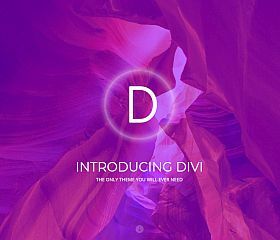 Divi is one of the world’s most popular WordPress themes and provides you with a world-class solution that is one of the most adaptable, versatile, flexible, and robust themes you will ever come across. 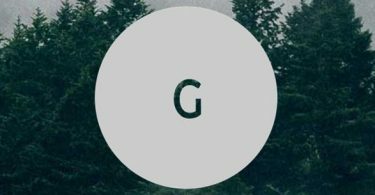 Promoted as “the only theme you will ever need” – the number of features, options, and customizations are nearly limitless. Everything from a custom page builder to custom shortcodes and advanced functionality typically found only via a plugin – it’s a theme that is as powerful as it is beautiful and usable. 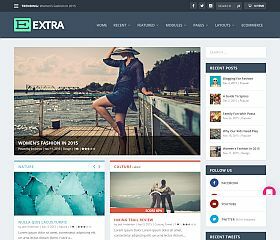 Extra is a WordPress theme that gives you unmatched control over the look and feel of your website all built upon a responsive, magazine-style layout. Whether you’re running an online news publication, want a design that can accommodate a lot of content, or looking for the perfect theme for your blog – this theme delivers a world-class design and experience for both you and your visitors. 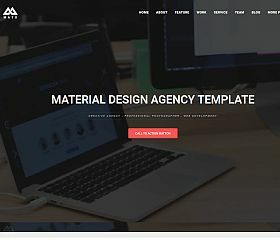 Materialism is a single-page WordPress theme that incorporates clean and crisp whitespace, beautiful color gradients, and a simple yet powerful set of features that will give your landing page (or single page site) a modern and stylish look. Built using Google’s Material Design package, Bootstrap, and the Underscores framework – this theme provides an amazing responsive layout that is perfect for many different types of blogs. 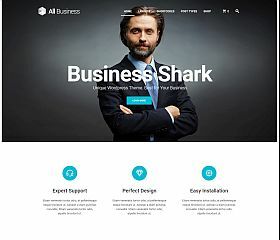 All Business is a flexible and adaptable Material Design theme that can be used as a single page website to a full business or corporate site, or even an online shop. 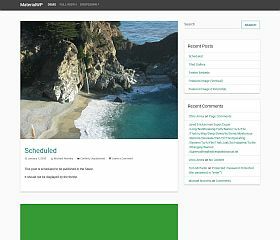 Multiple content templates are included (blog, masonry, puzzle, grid, and standard), integration with WooCommerce, animation effects, layouts options (conference, creative agency, modern corporate, business agency, classic boxed, classic shop, and portfolio agency), a theme options dashboard for customizing, and more. 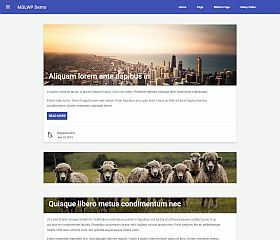 MDLWP is a Material Design WordPress theme that includes all of the essential styling and elements to help get you up and running, designed to be used as a starter theme for your projects. The theme is Open Source and free to download, giving you a great foundation upon which to build your site. Features include a responsive layout and design, sticky header/navigation bar, and of course a Material Design style. 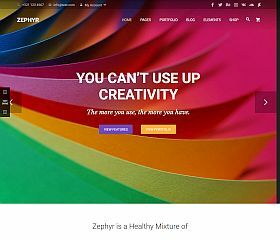 Zephyr is a multipurpose theme that is sure to impress – using Google’s Material Design for the styling, an amazing set of features for the functionality, and a powerful codebase to power it. Utilizing animation effects, parallax scrolling, multiple templates for posts and pages, featured content carousel on the homepage, built-in portfolio, and literally dozens of options that can be customized to your needs – this theme is as robust and adaptable as it is beautiful. 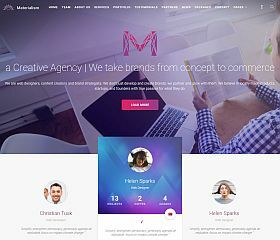 MATX was designed to serve the needs of creative agencies, businesses, professionals, and freelancers. Dozen of options and features are included in the theme, from AJAX and dozens of layout possibilities – to a clean and modern design, it will ensure that your site gets noticed and remembered by your visitors. 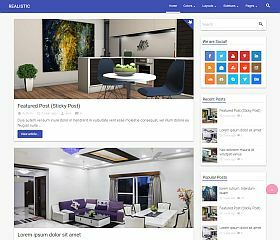 MaterialWP is a completely free and Open Source WordPress theme that is built upon Bootstrap and Underscores.me, it offers the perfect starter theme for any WordPress project – or for use as it is for a great blogging theme. 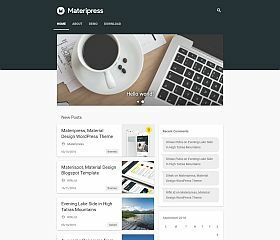 Materipress makes use of material design, minimalist layouts, and an appealing creative look to deliver a blog theme that will resonate with your readers. 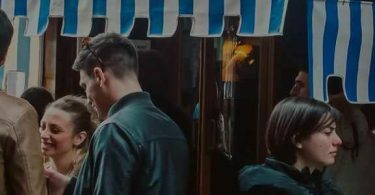 It was designed with page speed and load time in mind, taking a minimal approach to the design to ensure fast load times for your visitors. MaterialMag gives you a robust theme that uses Material Design and dozens of features to create a content-rich online publication. Whether you’re running an online magazine or a personal blog, it offers plenty for you to customize and modify and can suit nearly any type of site, blog, or industry. 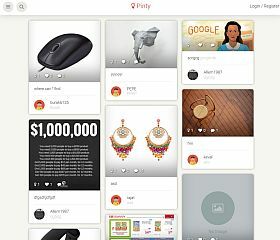 Pinty is a WordPress theme that uses Google’s Material Design that allows you to create a unique and eye-catching site like Pinterest. With a grid/masonry-style layout and plenty of features to customize to suit your needs, it’s a modern solution for those who want a pinboard-style website or blog. 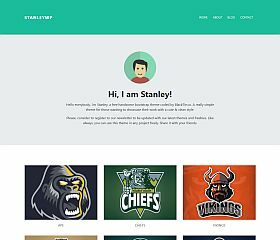 StanleyWP offers a very clean, simple, and modern design for your portfolio. This free theme contains Material Design elements and was built with Bootstrap. A set of principles, designs, features, and functionality developed by Google – Material Design  was built to create a cohesive and unified look among all platforms, screen sizes, and devices. Using this set of styles and guidelines, a number of beautiful Material design themes for WordPress have been built – giving you the chance to have a site or blog that is built using the same set of principles, look, and feel that Google has developed.